The Supreme Court on Monday banned the sale of firecrackers till November 1, saying it wants to curb the air pollution menace prevailing in Delhi-NCR. The court order to suspend all licenses which permit the sale of fireworks wholesale and retail within the territory of NCR. While the Supreme Court had issued a similar ban in the NCR region last year, it didn’t have the chance to inspect the bearing on pollution levels. Every year, Diwali festivities leave the air in Delhi thick with deadly smog and suspended particles, and residents are complaining of breathlessness and lung difficulties. Hence it also decreed that a relevant agency compute the impact of a noise-and smoke-free festival this year. 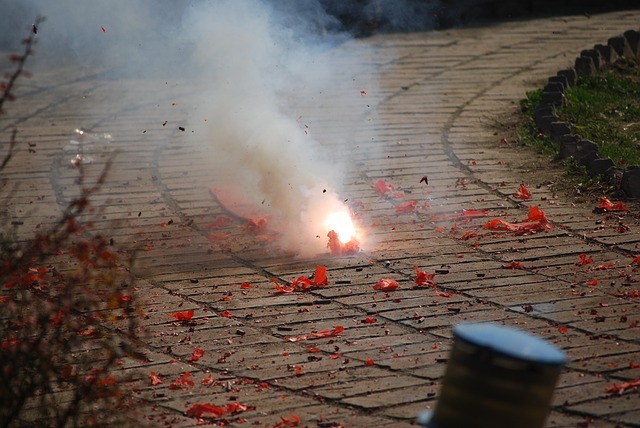 People who bought firecrackers already can still use them on October 19, when millions will celebrate the festival of lights by breaking crackers and lighting lamps. However, the ban is unlikely to be effective. Crackers are likely to find their way into markets, or people may smuggle them from neighboring areas. If residents of Delhi-NCR choose to defy the directive, it will become tough for the govt to stop the sale, purchase, and burning of firecrackers. There is an argument that firecrackers cause air pollution in Delhi. However, there is no observed study to prove it. The studies conducted so far on air pollution in Delhi indicate that transport, generator sets, industries, waste burning, thermal power plants and road dust are the most prominent offenders. India will celebrate Diwali on October 19, and the order means that no firecrackers will be available for purchase before and after the festival till the said date. Efforts should first be made for bringing awareness in people about the ill-effects and futility of burning firecrackers before imposing a ban. The awareness could be accomplished through the addition of a chapter in school, advertisements, and holding of seminars and workshops. Till the people are educated, any such ban would be counter-productive. An excellent and much needed step taken by SC to save our environment. We cannot afford choked lungs for a trivial joy. How great it will be if this ban is imposed on the entire country. Diwali has become a nuisance lately because of the noise pollution caused due to crackers. So has the Ganpati and navratri festival due to loudspeakers and unnecessary noise. The SC has to look into these also. Good Intention. But the way of execution raises questions. Will banning firecrackers for one particular festival at one particular place solve the problem of air pollution? Pollution by land, water and air has crossed the acceptable level in some many places in the country. Supreme court should find an acceptable, feasible, overall solution. …and let us stop being selective. If one of the most celebrated Indian festivals can come under leftist liberals we need to really worry about the future of the nation.